I personally do not think that girls should be wearing makeup while they are in school. I do not see a need for it. They are not going to school to see who they can impress or who looks better in this shade of lip gloss. I have seen way to many girls going to school with makeup on them that looks like a clown had applied it for them. You may have others making fun of you or calling you nasty things. If you are going to wear makeup to school I will post up a list of ways that girls can put makeup on for school and not look bad at all. First you want to wash your face really well. Getting off dirt and oils that may be sitting on your skin. Most of you will not need this because you are all still in school but a concealer can cover a lot of problem areas. It goes under the eyes for dark circles but it also works great if you have redness to the skin or any blemishes. It normally comes in a stick that you can just rub lightly on the areas that need it then rub it into the skin. Look at how light or dark that your skin is and find a foundation that fits your skin tone perfectly. This comes in liquid or powder form. Go with a very neutral color for eye shadow. Something that is very pale and light. Again no need to cake it on. When putting eyeliner on put a very light coat on the bottom lid only. There is no need to have a dark and thick line on the top and bottom, just to go to school in. 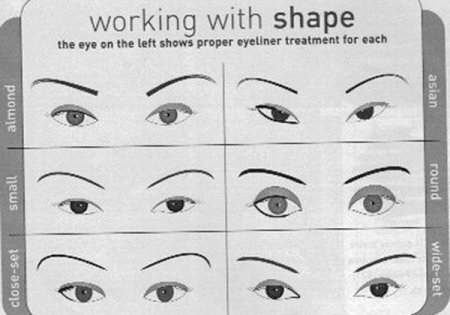 If you need to do a little tweaking to the eyebrows then you can use a little eyeshadow or pencil. Stick with using a lip gloss, lipsticks are to bright and not something that is meant to be worn for school. A lot of girls use glosses anyhow. 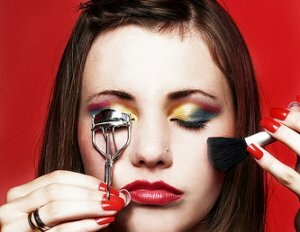 Share a link to a page on How To Apply Makeup For School and we will consider it for placement on this page.